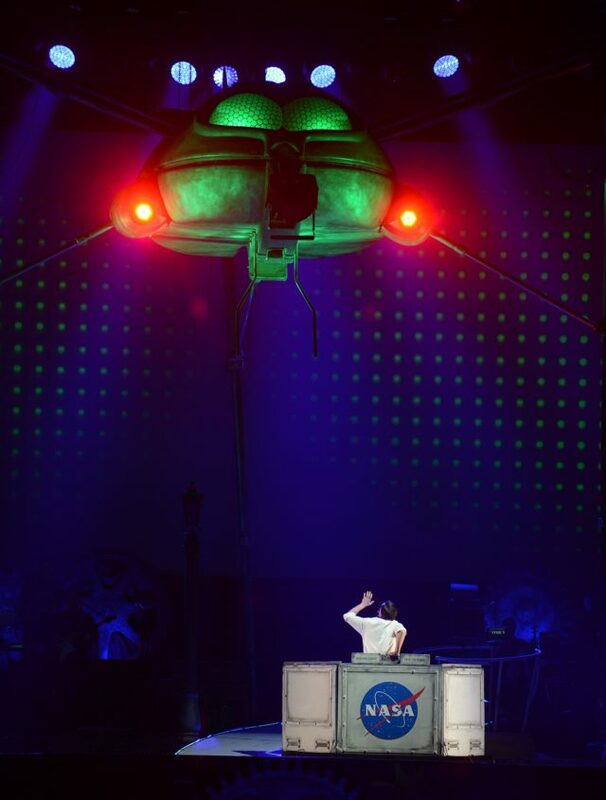 Composer Jeff Wayne has said that he “can’t wait to live” out the invasion of Victorian England by Martians when his musical version of The War Of The Worlds opens in London next year. Wayne has partnered with dotdotdot, a company that creates what it calls layered reality, to re-imagine his 1978 musical interpretation of H.G. Wells’ story as theatre. The show will use virtual reality, holograms and immersive acting to convince audiences they are living out the fictional invasion of 1898 on the 40th anniversary of the album’s release. Due to open at the Old London Metal Exchange in central London on May 31 next year, the show will see audiences don virtual reality headsets as they enter the 22,000-square foot space. Real and virtual actors will guide them as they walk and crawl through scenes from the story, watching humanity rally against the Martian forces against the backdrop of London. New York-born Wayne had success writing commercial music for television shows and adverts before releasing the album Jeff Wayne’s Musical Version of The War of the Worlds, which featured narration by Richard Burton. He said: “It’s incredible to work with dotdotdot. Andrew McGuinness, founder and chief executive of dotdotdot, said: “By using technology in a way never seen before, we are able to allow people to step within and feel part of the story rather than simply observing from the outside. “The scale of the production, the music, next generation tech and theatre will work together to immerse the audience in the production in a way that will shock, surprise and delight. Tickets for Jeff Wayne’s Musical Version Of The War Of The Worlds: The Immersive Experience go on sale from 10am on November 30. This article is available to subscribers. Click here to login or get access. Previous articleWhat is the Hollie Guard safeguarding app? If you would like to find out more about Farm Week, We can be contacted by email: info@farmweek.com or by telephone: +44 (0) 28 9033 4493. As the only paid for agricultural newspaper, FarmWeek occupies a unique position in the media landscape of Northern Ireland.